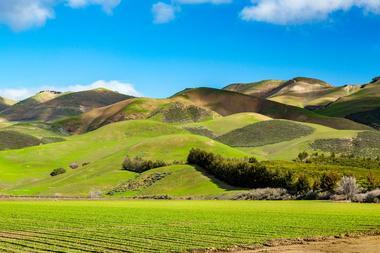 San Luis Obispo is a city located along the Central Coast of California. 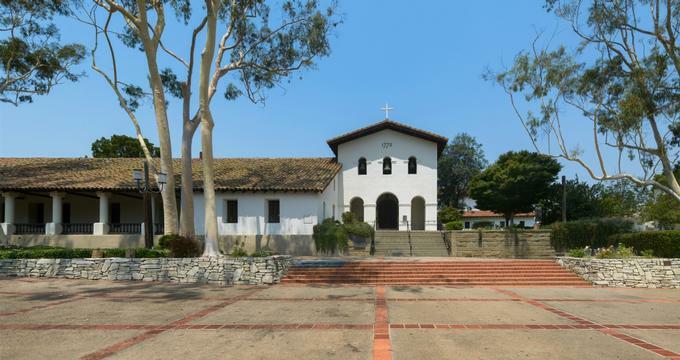 It gained its name from the Mission San Luis Obispo de Tolosa, and a number of remnants from California’s mission history still remain today. The city is home to a rich cultural heritage, and a number of museums are located throughout town, including a local art museum, history museums, a children’s museum, and a railroad museum. The San Luis Obispo Museum of Art is a small art museum that showcases sculpture, photography, and painting exhibits by artists from around the Central Coastal region and beyond. The main emphasis of the museum is on current living California artists. The exhibits are beautifully curated with highlights being photography by Bryn Forbes and an exhibit of movie posters from the 80s, 90s, and 2000s by Jeffrey Bacon. The museum offers a range of activities to encourage members of the community to participate in and learn more about the arts. From time to time there are talks, movie nights, classes, and a variety of other events. The San Luis Obispo Railroad Museum is a train and railroad museum dedicated to preserving and providing access to the railroad history of the state of California. The museum has a wide range of artifacts and displays related to such subject matter as surfing, the Southern Pacific, Amtrak, the Santa Maria Valley, the Pacific Coast Railway, and much more. 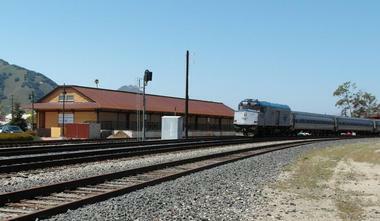 The museum will eventually include a 1,200-square-foot scaled model railroad called the Central Coast Model Railroad. It will also feature visual displays related to the life and times of the various railroads and the railroad’s impact on the local community, including the entire Pacific Coast Railway and some sections of the Southern Pacific Railroad. Leaning Pine Arboretum is a 5-acre tree garden located on the northern side of the Cal Poly University campus. The arboretum is a nice, peaceful place to take a walk and learn about the various plant life you can find in California’s Central Coastal region. 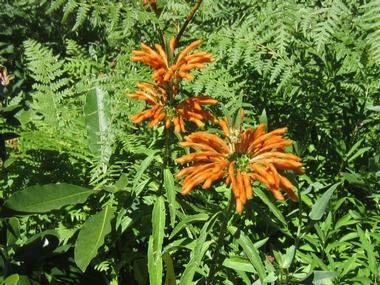 There are hundreds of interesting and unique plants displayed in the garden’s various collections, including both locally grown plants and interesting items from around the world. Some of the gardens include one with unusual conifers, a formal garden, a palm display, and much more. The views from the arboretum are amazing and include both the coastal mountains and the college campus. 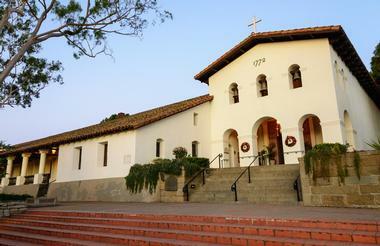 The Mission San Luis Obispo de Tolosa is one of several traditional Spanish missions in the area. It was established in 1772 and got its name from the bishop of Toulouse. It was founded by Father Junipero Serra, who founded several missions along the California coast. The mission pre-dates the city and is in fact where the name of the city itself originated from. Today, Mass and the Sacrament of Reconciliation are still held at the mission, as are special events from time to time. There is a museum on site that has a collection of artifacts on display that are related to the Mission’s history, Native Californians, and American settlement. There are daily docent-guided tours and a gift shop on site. The San Luis Obispo Botanical Garden sits on the grounds of El Chorro Regional Park, which is located in between the city and Morro Bay. The park features a number of gardens, but the 5-acre Preview Garden is a good place to start. It shows a sampling of plant life from each of the five major Mediterranean climate zones. Among other gardens, the unique Life Celebration Garden is a place where people can purchase memorial engravings to be displayed in memory or celebration of their loved ones. There are also a nursery and greenhouse on site, where plants are grown for the garden, for county parks, and for sale to visitors. The San Luis Obispo Children’s Museum is a fun-filled learning center with a wide range of both permanent and temporary exhibits. The museum is designed to be highly interactive and enjoyable for children, inspiring them to learn while they are playing. The museum’s exhibits cover three floors as well as an outdoor playscape and are geared toward children aged 1-10, but you will certainly see adults playing along with huge smiles on their faces. There is always something going on at the museum, and special programs and activities are nearly always available for children. Memberships are available if you plan to visit frequently. Avila Valley Barn is a farm offering a variety of experiences to help you have a delightful day out in the country. Whether you are just stopping by to get ice cream, as many do on their way to and from Avila Beach, or you are going for the day to let the kids interact with the farm animals, you are sure to have a memorable and delightful time. A wide range of fresh, local produce is available for purchase, as are homemade bakery treats and a selection of gifts. Pony and hay rides are offered on weekends in addition to special treats such as roasted corn. Bishop Peak measures a bit over 1,500 feet, making it the tallest of the “Nine Sisters,” a mountain range also known as the Morros. 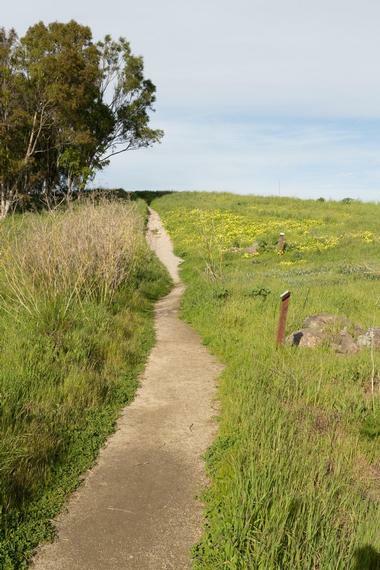 It is a favorite hiking destination among locals and visitors alike and is one of the most popular hikes in the San Luis Obispo area. The mountain got its name due to the shape of its rocky crown, which some think resembles a bishop’s miter. The hike to the summit is a single-track trail that covers approximately 3.5 miles on a round trip and climbs approximately 950 feet from the trailhead. The views from the trail and summit are beautiful, and hiking the trail is certainly a rewarding experience. Bubblegum Alley is a tourist attraction located in downtown San Luis Obispo. The attraction takes the form of a 15-foot-high, 65-foot-long alley that is completely covered with used bubblegum. The alleyway began in the 1950s, but no one really knows why. Some think that its origin can be traced to a rivalry between Cal Poly and San Luis Obispo High School students. 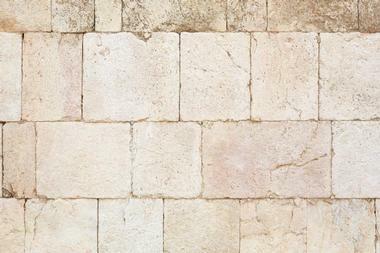 The wall has been completely cleaned twice since its inception, but it returned to its original bubblegum state both times. In the 1990s, the local business association attempted to have it cleaned again, but it is so beloved by locals and it has been there for such a long time that the authorities decided not to clean up the gum. 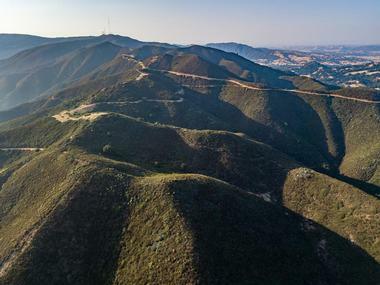 California Polytechnic University designated a 9-acre plot of land in the hills above their campus as an “outdoor experimental construction laboratory” for their students. Locals and tourists have since given the interesting attraction the nickname “The Architecture Graveyard.” The site is home to an eclectic mix of experimental structures, giving the appearance of an abandoned collection of odd architectural pieces. The structures run the gamut ranging from small sculptures to small houses and everything in between. Each year, the annual Design Village is hosted in Poly Canyon, where the Architecture Graveyard resides. It is a design festival where students create temporary experimental buildings and then live in them for a weekend. In between Los Angeles and San Francisco at approximately the mid-way point, travelers on California’s Highway One Discovery Route will pass through San Luis Obispo County, which is home to a number of worthwhile destinations and must-do attractions. There are more than 40 attractions spread across the 101-mile span of road, which flanks the Pacific coast. 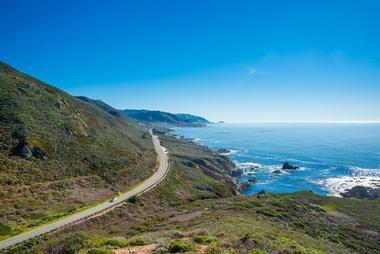 The route passes through artsy towns, charming seaside villages, and world-class wine country. There is truly something for everyone available, with activities ranging from outdoor adventure, delicious restaurants and wineries to park trails for hiking, a number of quiet beaches, and boutique shops. 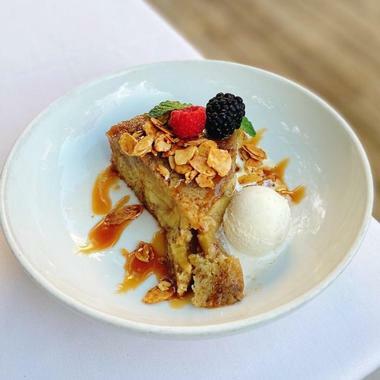 Culinary tours are an exciting way to explore a new city, and Central Coast Food Tours is a tour company that offers visitors a unique opportunity to explore and discover the food and wine culture of San Luis Obispo, Paso Robles, and the rest of the Central Coast. The company offers food tasting and cultural walking tours as well as wine tours and adventure tours. The tours are led by knowledgeable tour guides who are prepared to fill you in on the interesting stories of how the food and wine of the region have become what they are today, with influences such as geography, local, family farms, climate, world-class chefs, and more. Fromagerie Sophie is a European-inspired cheese shop that offers a selection of tasty gourmet cheeses and specialty meats for purchase. 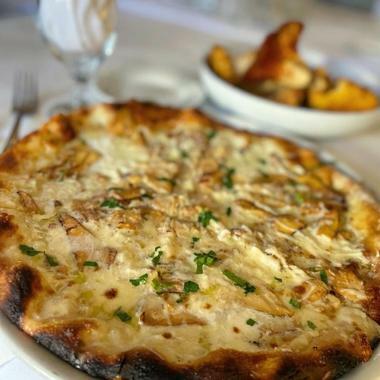 Their meat and cheeses are sourced from all over the world, giving visitors the opportunity to experience delicacies from a variety of cultures. The shop offers a plethora of tasting samples for visitors who wish to learn more about gourmet cheeses or who simply want to sample the offerings to choose from the best cheeses to take home. At any given time, they have 60 to 80 cheeses from America and almost a dozen countries in Europe. A number of other gourmet items from all around the globe are available in their retail store as well. HeliPro Helicopter is an award-winning helicopter training school that also offers scenic helicopter tours. The Nine Sisters Tour follows the ancient volcanic range officially known as the Morros, which stretches from the city out to the ocean. You will also get stunning views of the beaches on the coast. The Oceano Dunes Tour takes visitors down the coast from Avila Beach to the Pismo Dunes, where you can get a unique view of the various landscapes. The “Great” Lake Tour is an inland tour that explores the eastern section of the county, including vineyards, Lopez Lake, and the Los Padres National Forest. Other tours visit the San Luis Lighthouse and famous Bishop’s Peak. You can also create your own custom tour by contacting the company directly. 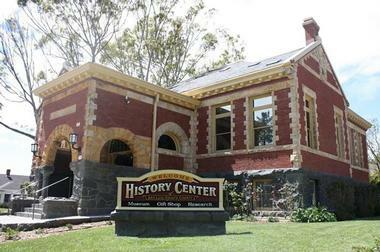 The History Center of San Luis Obispo County is a history museum dedicated to preserving the historical and cultural heritage of the region surrounding San Luis Obispo. The museum has a large number of artifacts and archives in its collection, but many of them are held off-site and only a small percentage are on display for the public. The regional photograph collection is especially interesting and includes prints, slides, and postcards of the region dating from the 1840s until today. 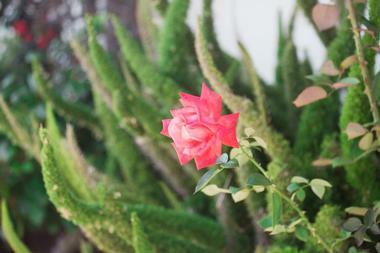 The museum is located inside the city’s historic Carnegie Library building as well as the Dallidet Adobe and Gardens. The space available is for touring, and public use includes a gallery, research space, and a gift shop. Irish Hills Natural Reserve is a large nature preserve that protects a wide variety of diverse habitats. Hiking is a popular pastime here, with more than 8 miles of trails. Mountain biking is also permitted. The winding trails consist of several interconnected loops that provide many different ways to explore. The landscape is quite rocky and features several thousand-foot cliffs. Hiking the cliffs above the canyon affords visitors stunning views of Bishop Peak and Cerro San Luis in the Morros. Morro View is one of the most popular points on the trail for great views and can be accessed via a several trails. Johnson Ranch Open Space is a park that contains and protects more than 240 acres of old ranch space just south of the town of San Luis Obispo. The park is popular among locals and tourists alike for mountain biking and hiking on the numerous trails. You can easily reach the trailhead to access Johnson Ranch as it is just off of California Highway 101 in between San Luis Obispo and popular Pismo Beach. The trail is peaceful and relaxing if you can manage to tune out the sound of motorists from the highway on the outer sections. Spring is one of the best times to visit the park as the flowers are in bloom and the grass is a nice, vibrant green. 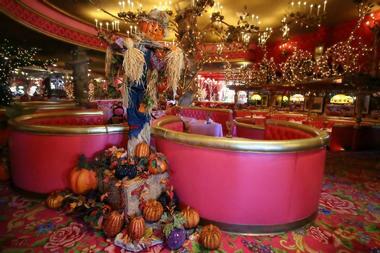 Madonna Inn is a unique hotel and restaurant with an extremely kitschy interior decor. The hotel itself was inspired by the Swiss Alps and features more than 100 rooms that each have a different theme and name to go along with it. Some examples of the themes are Sir Walter Raleigh, Jungle Rock, Country Gentleman, California Poppy, Whispering Hills, Floral Fantasy Desert Sands, and many others. The rooms come in every color and décor style imaginable, although pink seems to be a favorite, especially in the restaurant. The inn is set in a pastoral setting on 2,200 acres of land. It also offers a full-service spa, making for a nice retreat. Madonna Inn Trail Rides is an equestrian resort that offers trail rides on their herd of gentle and friendly horses. They have a full staff of skilled wranglers who have the necessary experience to keep the rides safe so that you can relax and focus on having fun. A number of different ride options are available. 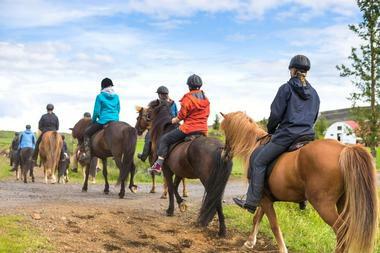 The most basic is a 1-hour trail ride that consists of a memorable ride through scenic countryside, where the views are seemingly endless. There is also a ride and taste package, where you take a 1-hour horseback ride followed by a wine and cheese tasting at the Madonna Inn Gourmet & Wine Shop. Lastly, if you’d like to extend your stay, you can book a Saddle Up & Stay hotel package, which includes a hotel room for two guests and a scenic trail ride. 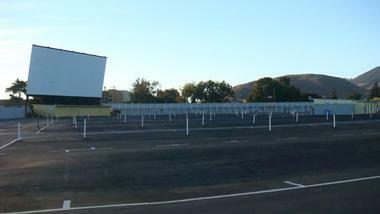 There is perhaps nothing more nostalgic and American than watching a drive-in movie on the big screen. Sunset Drive-In Theatre is a family-friendly, large-screen, drive-in movie theatre that shows a double feature every night. Many films are family friendly and children get free or discounted tickets depending on their age. The theater has a concession stand offering a range of refreshments to enjoy while watching the film. On Sundays, the theater grounds host a swap meet, which is open to both buyers who are looking for a good deal and sellers who are looking to sell handmade items or unload some used things from around the house. Ruby Rose is an eclectic vintage clothing shop housed within an Airstream trailer in San Luis Obispo, owned and operated by Stephanie Henry, who named the shop in honor of her daughter. The unique store travels around the American West Coast in search of the most unique vintage clothing finds possible, scouring California's flea markets, estate sales, and thrift stores for one-of-a-kind items. Staff members also source inventory from their own flea and thrifting adventures regularly, keeping the clothing selection rotating weekly. Many items on sale date back to the fashion trends of the 1960s and 1970s, including vintage jewelry and Western-style boots. The store also sells a variety of home furnishings, ranging from flags and maps to vintage furniture and decor items. The Dorn Pyramid is a masonic tomb built in the shape of a pyramid, standing 25 feet tall and made from granite. The pyramid was built in 1905 by a well-to-do lawyer by the name of Fred Adolphus Dorn. He built it as the final resting place of his wife and infant son, who died during childbirth. The pyramid sits in an isolated location within the grounds of the Odd Fellows Cemetery and has an eerie appearance compete with the inscription “DISTVRB NOT THE SLEEP OF DEATH.” Throughout the years, the pyramid has come to garner a bit of mystery and urban legend surrounding it. Ask around town about it and you are sure to find some interesting opinions. 101 Wine Tours is a tour company in Arroyo Grande providing a luxurious way to experience California’s wine country. 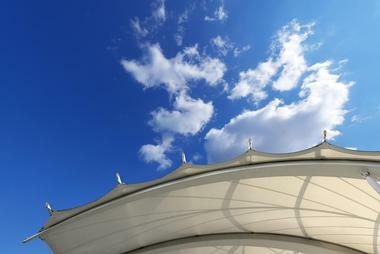 They proudly create custom tour experiences that uniquely meet the wishes and needs of each client and group. Before attending the tour, you will complete a survey about your tour preferences so that your guides will be perfectly equipped to meet your needs. Then, on the day of your tour, you will climb aboard a luxury Mercedes van and visit wineries both big and small. You will visit four or five wineries during the tour and will be picked up from your hotel and dropped off at the end of the day, making it a very convenient experience. 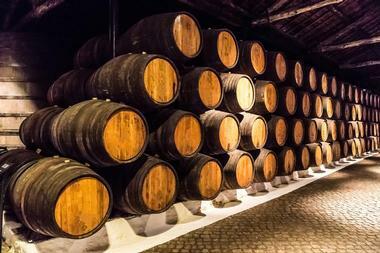 For even more fun, the company also offers tours focused on beer, olive oil, and scenery. Father Junipero Serra founded 21 missions throughout California, from San Diego to Sonoma. 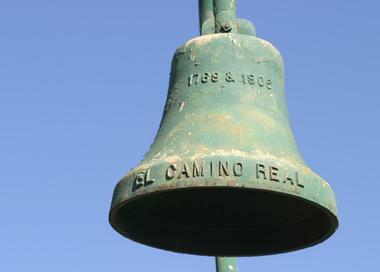 The missions were linked by El Camino Real, which was a 700-mile-long route through California. The route was not terribly distinct and existed more in sections than in one continuous road; however, several sections of the route were marked with mission bells. Over time, many of the original bells along the route were stolen or lost, although a large number were restored in the 1990s. As you drive along Highways 82 and 101 in California, keep a look out for bells on the road. You can find a map on the California Highways website to help you locate them.